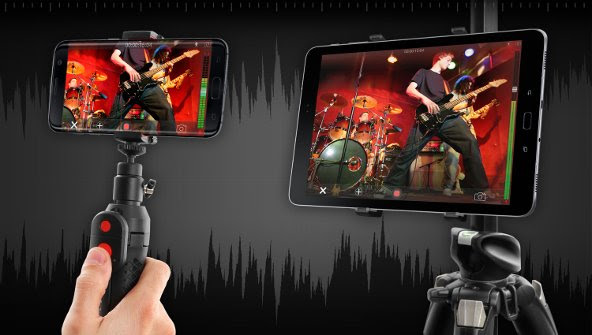 IK Multimedia announced iRig Recorder 3 for Android™devices, a professional quality field recording app which supports video recording and includes a wide collection of pro audio effects, expanded sharing capabilities via online services and social media as well as professional exporting features. iRig Recorder 3 offers users the ability to produce superb sounding audio/video recordings directly on their device, share them with the world or export them for further editing. Record "selfie" videos, live performances, lectures, speeches, interviews and much more at the touch of a finger. iRig Recorder 3 is the go-to app for both professionals and enthusiasts who need a tool capable of greater versatility when it comes to creating high-quality video with great audio that can be shared via social media immediately. iRig Recorder 3 for Android is available as a free downloadable app from the Google Play™ Store with the option of expanding the effects collection via in-app purchases.